Longway is the level filler destined to the bevarages industry,. There are 2 models available: one for still liquids (still water juices, spirits) that uses a level filling technology, and one for carbonated liquids (still or sparkling water, juices, soft-drinks, beer) that employs the isobaric filling system. 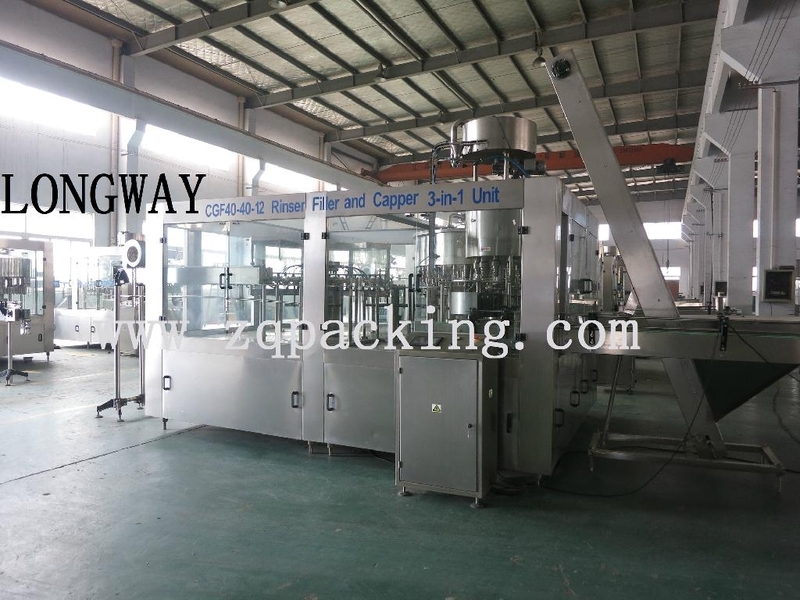 LONGWAY can process glass or PET containers, with an output speed from 2,000 to 36,000 bottles/hour. The pitch ranges are 94 mm for maximum bottle diameter of 89 mm; 113 mm for maximum bottle diameter of 108 mm and 126 mm for maximum bottle diameter of 115 mm. The number of filling valves varies between 12 and 80 based on machine output speed and pitch.